I started my journey helping people in 2008 when I went to massage school. I already had a bachelor’s degree from Indiana University but decided that I wanted something more from life. I was immediately fascinated by the alternative approach to health and wellness: acupuncture, massage, etc. So I figured I would start with the massage license and see where that took me. 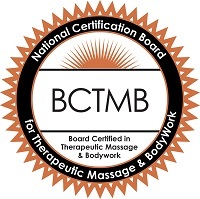 I graduated from Boulder College of Massage Therapy in 2009 but I was not expecting to be completely transformed by studying the body and by how much I love to perform massage on my clients. I realized that I wanted something else to compliment my massage career so I can work full time while mitigating injuries….I started down the path to becoming a registered dietician. After two years I realized I was taking too much time away from my young children and I was feeling too stressed out. That’s when I found IIN, the Institute for Integrative Nutrition. What a wonderful compliment to massage – becoming a nutritional health coach and helping people transform their wellness goals into reality. Along with what I do for a living, I am a mother of two which is amazing and challenging. I try to keep the balance between being the guide of two young boys and keeping a vibrant, healthy relationship with my husband, and then attempting to find time for self-love and care! That is why I want to pass along my knowledge to you – I am right there with you always trying to figure out what is best for my family and for me, because if mom isn’t happy the whole family feels it! I love being outdoors year-round either skiing or hiking. I look forward to live music at Red Rocks once a year and at local festivals. Dancing, singing and laughing with clients and friends squeezes the juice out of life.